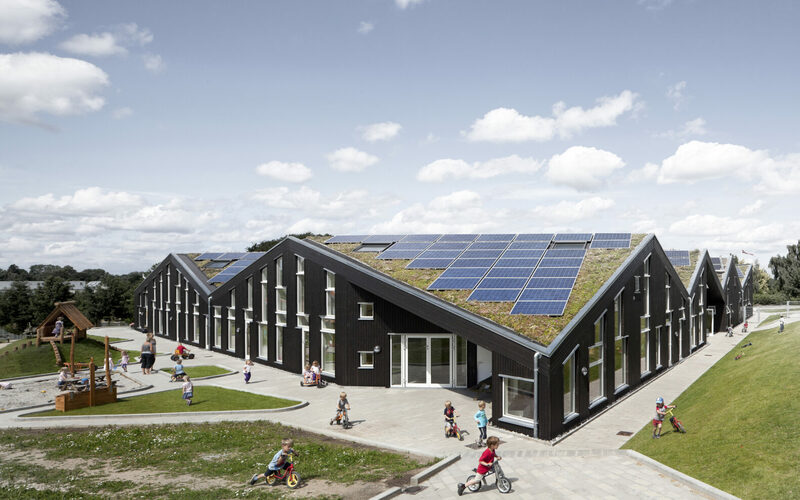 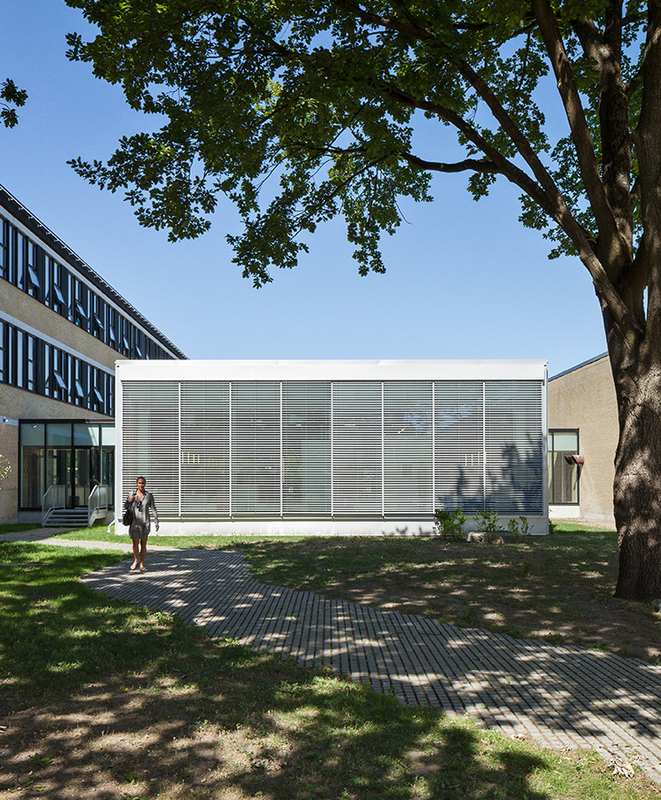 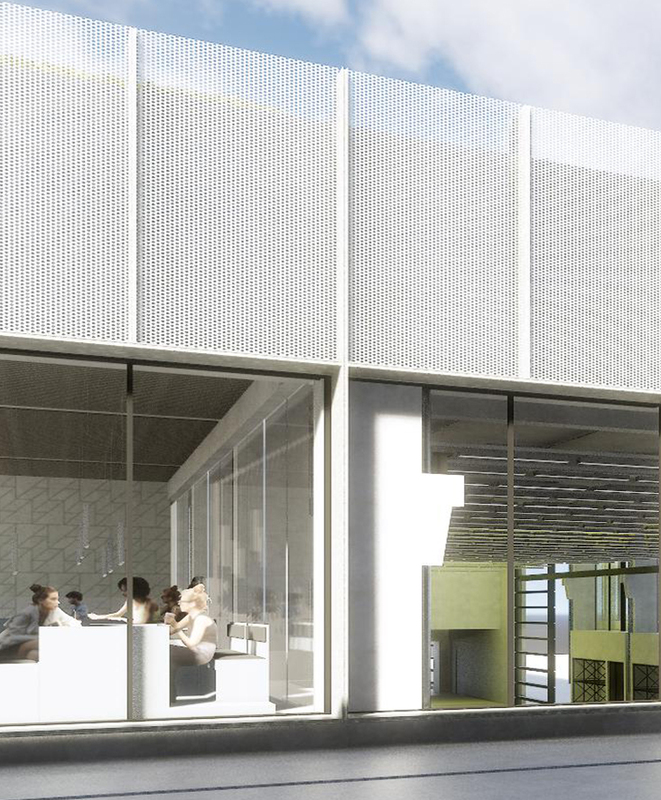 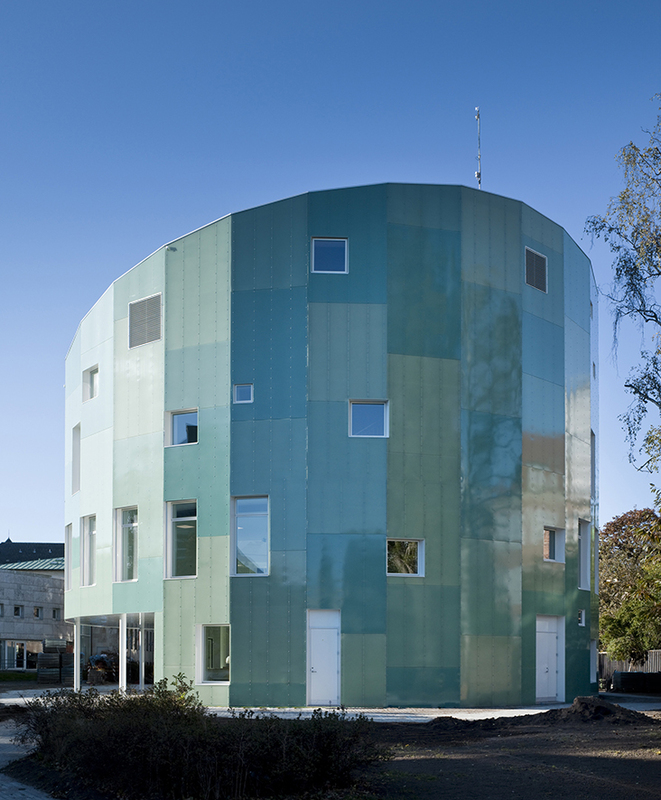 The Sunhouse is the first kindergarten in Demark to generate more energy than it uses. 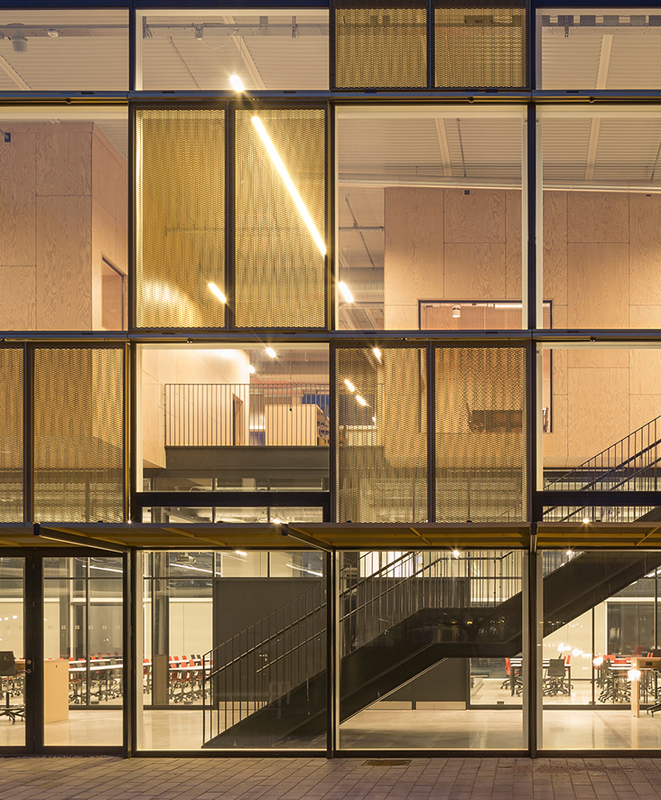 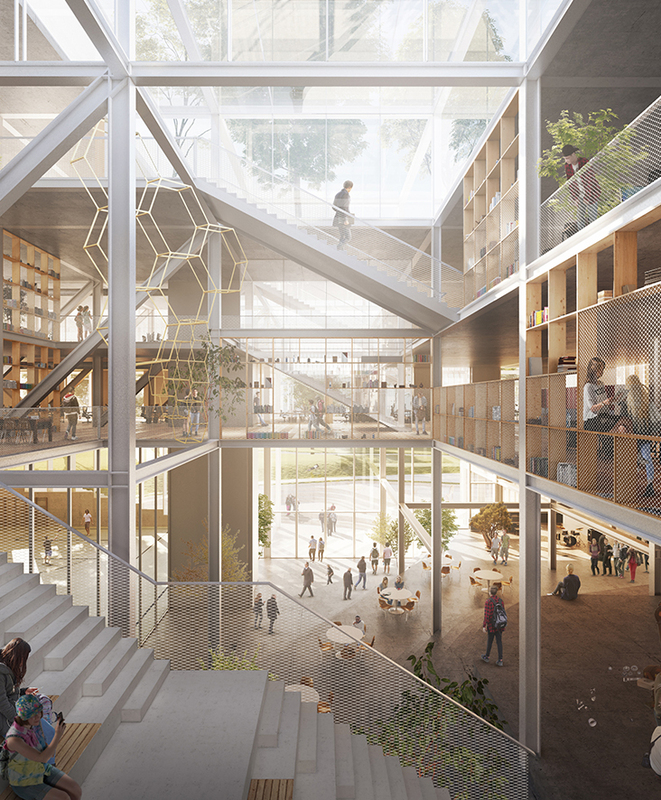 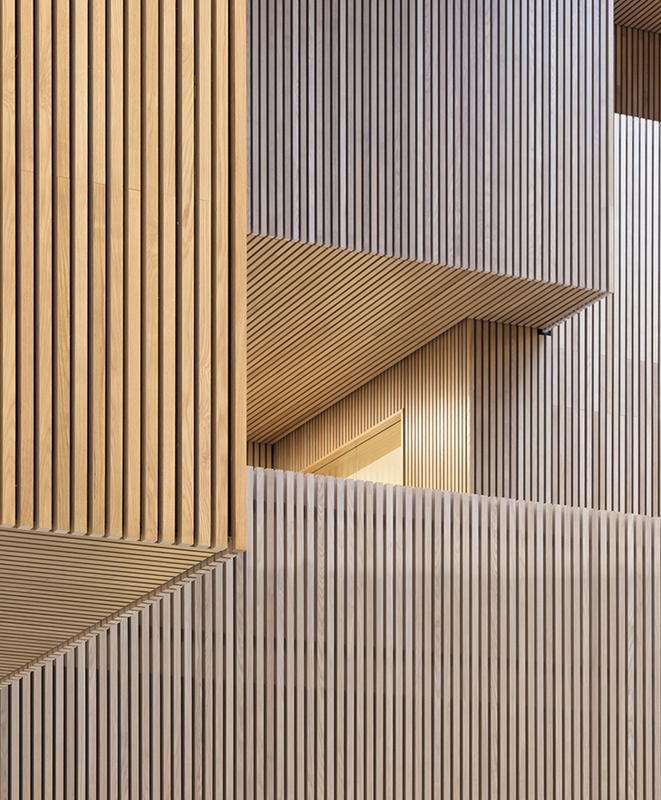 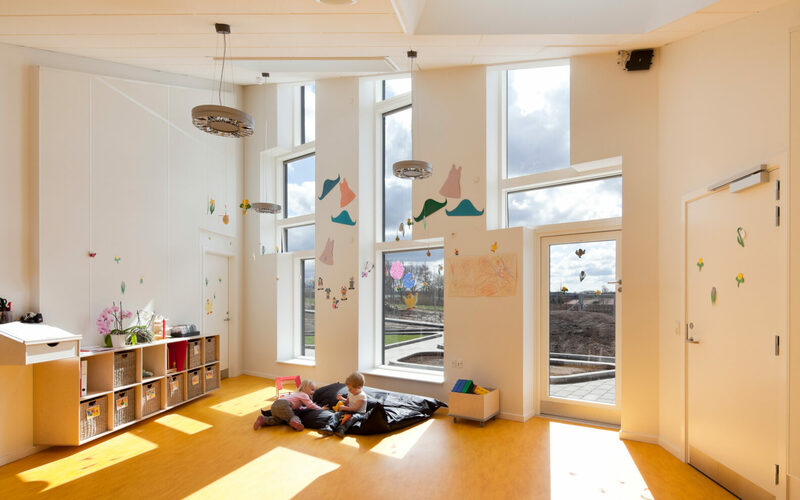 The kindergarten is built on Active House principles with sustainability as a key priority and a design that has an integrated ambition to raise children’s awareness about the relationship between energy consumption and the environment. 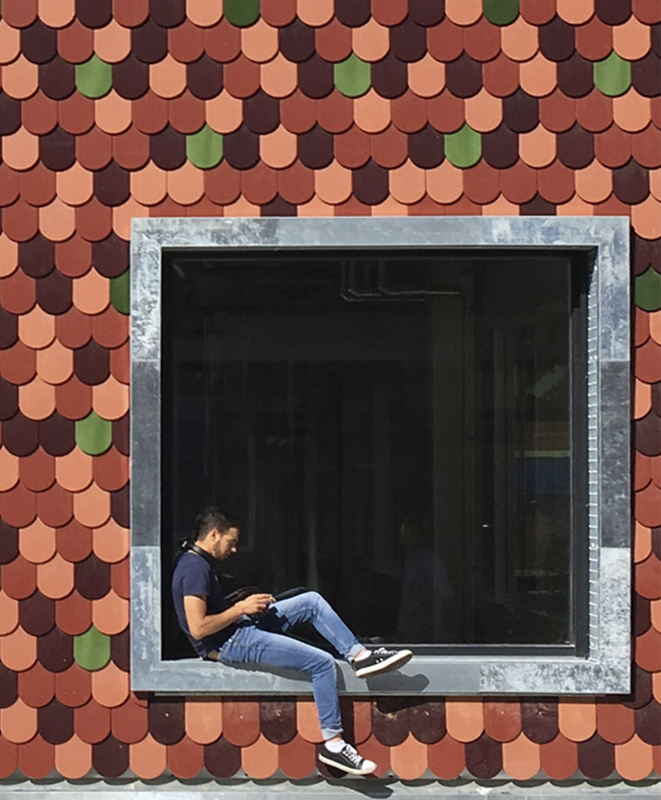 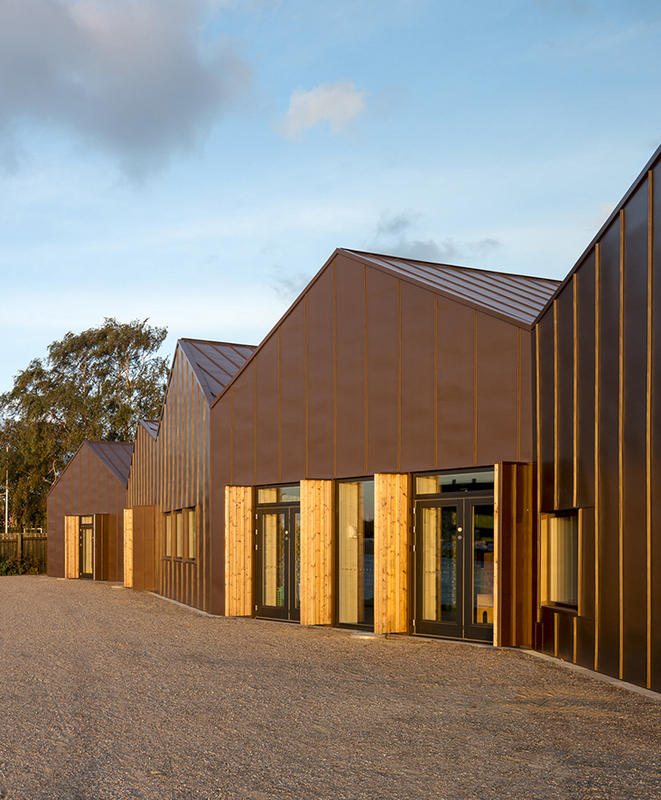 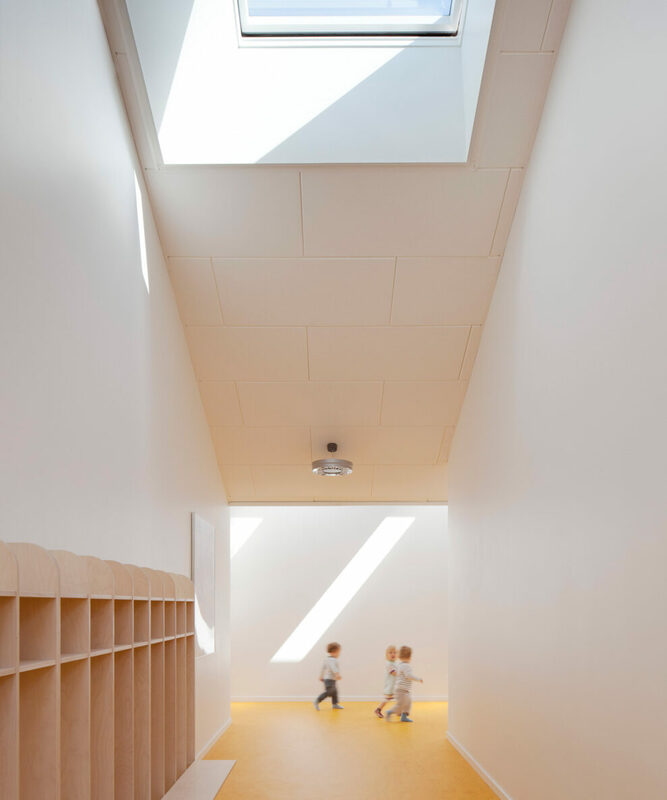 The basic shape of the building is a triangle, which creates a natural division into smaller sections that encourages the children to play and learn. 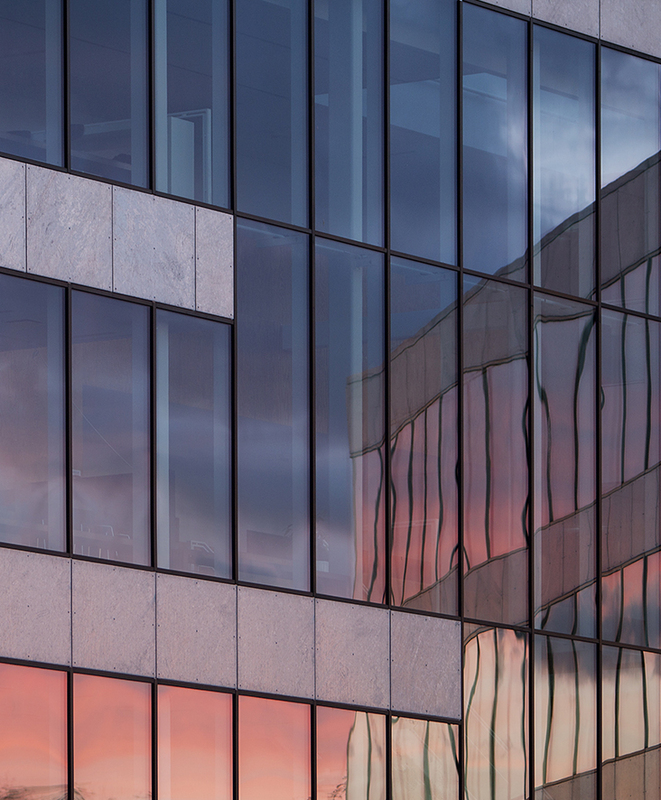 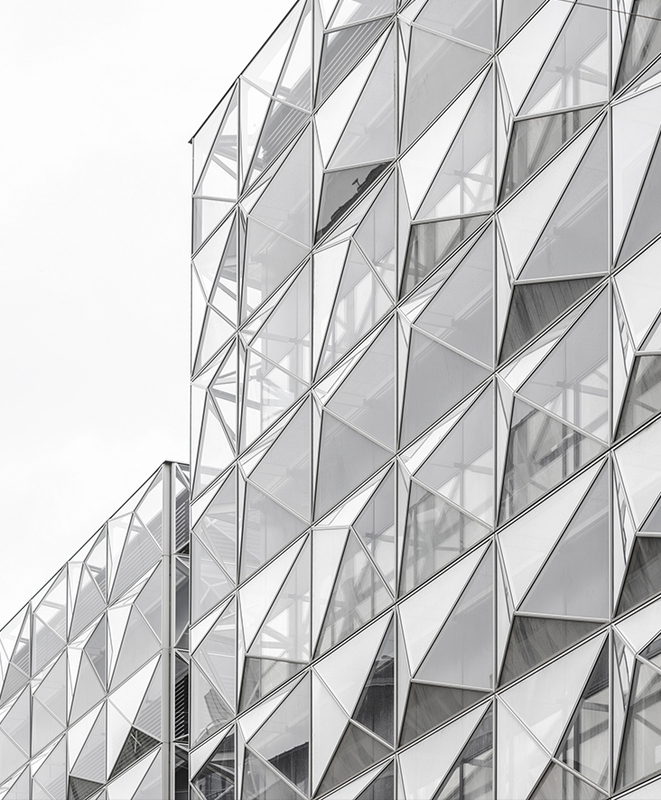 The geometry of the building and the zig-zag roof-design create a varied volume. 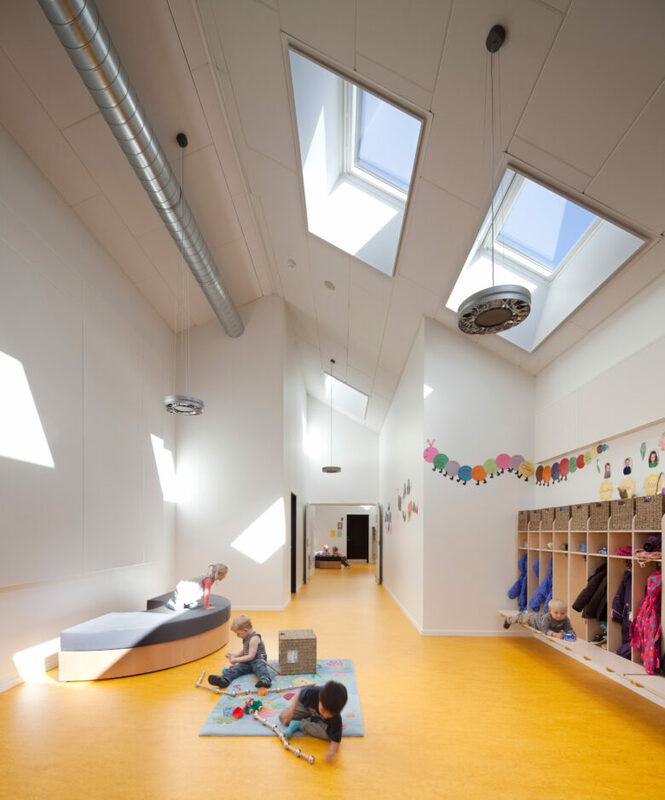 The roofs surface are perpendicular to the south so that skylights and solar panels facing north and south make the most of the sunlight. 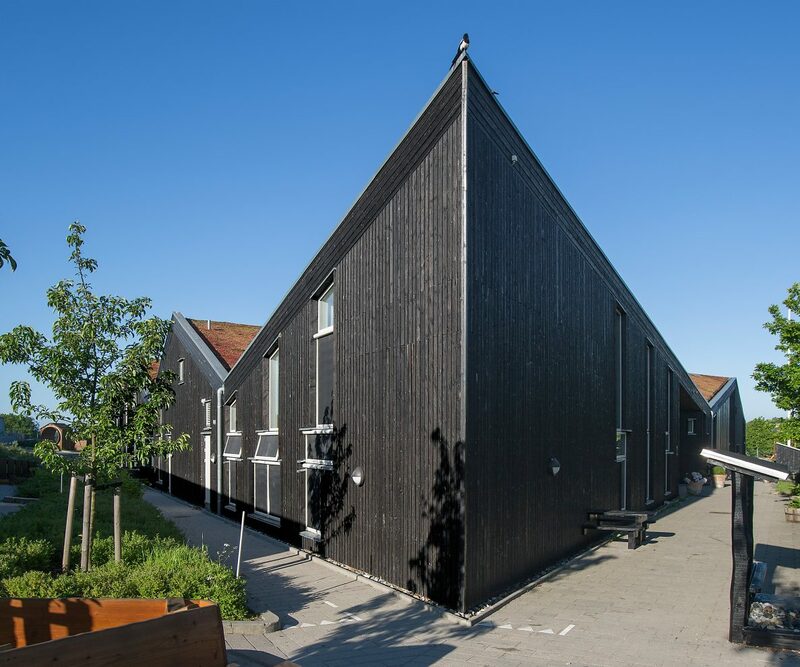 To break up the relatively large scale, the building is divided into three zones: An arrival area for staff, an area for young children with easy access to an outdoor sleeping hall, and a zone for older children with group rooms and outdoor playgrounds. 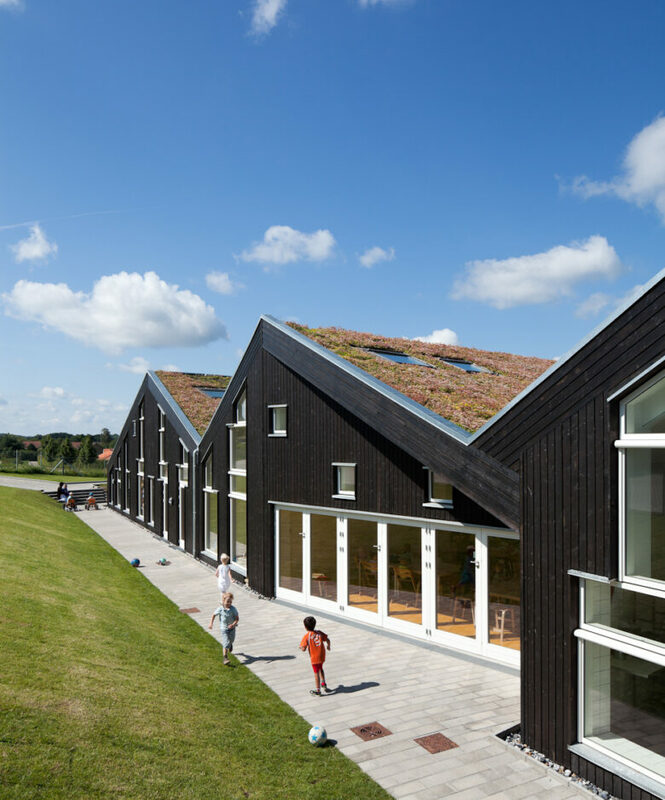 Architecturally, the kindergarten mimics a small village where the children can easily find their way around.